In Florida we have had such a mild winter that our flowers are already budding in confusion to the warm weather. This puts me in the mood to start some spring cleaning. One of the things I like to clean a couple of times a year is my fabric sofa. Upon sitting on my sofa the last few days I have noticed a musty smell which seems to bother my allergies. So what to do? Well I could tell my hubby both of our boys are about to be married and we could pass down the furniture to them and I of course could have a new set!! Maybe one that looks like this!!! Of course I know hubby will say I have not had my current sofa long enough to warrant getting a new one, but a girl can dream right? So it is time to get out some trusty cleaning products and get to work having my fabric sofa smelling spring fresh again. 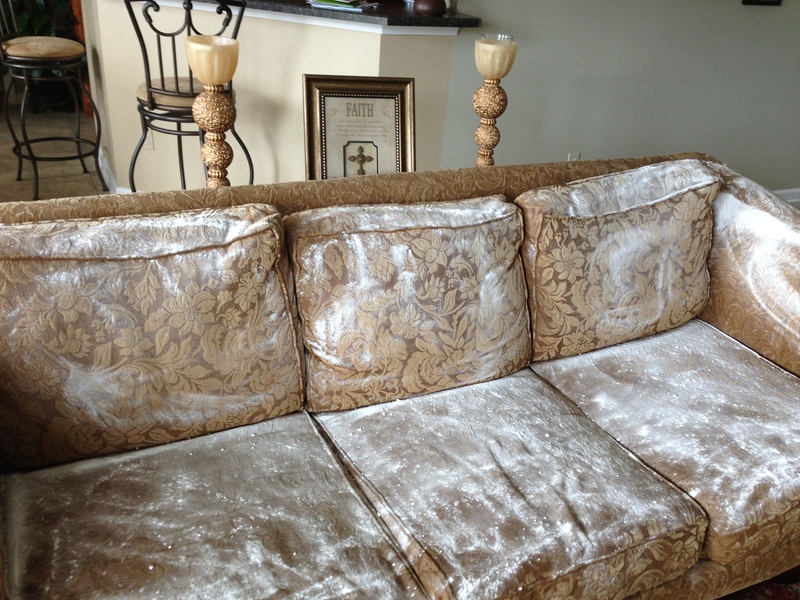 The first thing I did was cover my sofa with baking soda. Baking soda has long been used as a household remedy, one reason is because of it’s absorption capabilities. So I can trust it will absorb those musty smells. (This is also good for those great chair finds at the local thrift store or garage sale!) I then unzip the cushions and add a little baking soda to help in absorbing any remaining odors and to help prevent future ones from developing. I allow the baking soda to sit for an hour or two and then I just vacuum off the baking soda! The next thing I did was spray a heavy coat of Febreze. If you have not tried this product you must! It is great at removing odors within a couch and on bedding (I spray my bed every day before I make it up, but I wait about 10 minutes before I actually pull up all the covers just to allow it to air dry some). You simply spray the sofa with a heavy coat of the product but remember don’t sit on it until it dries unless you want a damp toosh, therefore, provide a few hours for the moisture to evaporate. 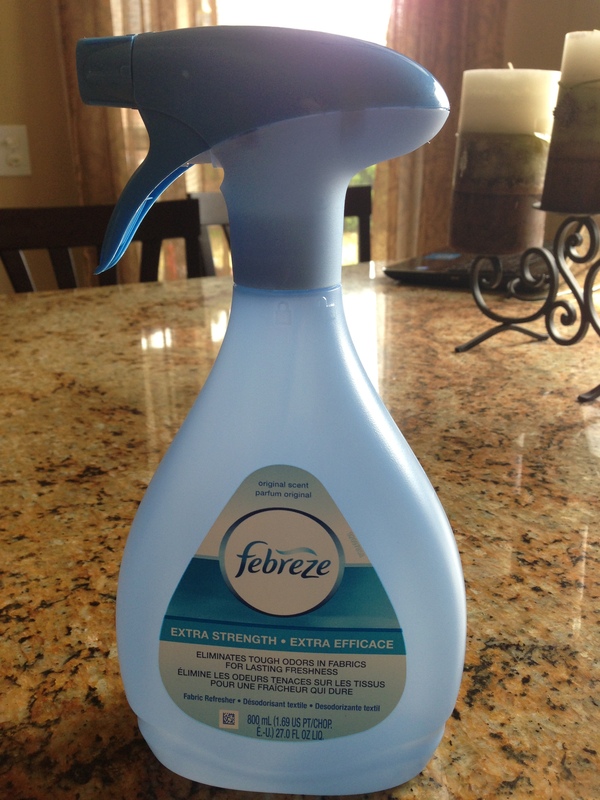 Then weekly when I dust and vacuum this room I spray the sofa, chairs, and carpets lightly with the Febreze again. Voila I now have a clean sofa smelling as fresh as spring again! Give it a try and tell me what you think! I use the baking soday and Febreeze on all my furniture and the Febreeze on my curtains and carpets. At least once a month all the mattresses in my house get a dose of baking soda and febreeze and I let them set for at least an hour between each and then put the linens back on the beds. It makes for an easier spring cleaning in May or June depending on the weather and whether the windows can be open! Love your blog. It is amazing how much these little products can make a big difference isn’t it! I think this site contains some real wonderful information for everyone. “Good advice is always certain to be ignored, but that’s no reason not to give it.” by Agatha Christie. Great job . I’ll definitely use this odor removal technique for cleaning sofa.